the third child from left. вЂњMalatya was a paradise on earth. Each house had two springs: one for drinking, the other for washing. Each housewife was busy making dried fruit and desserts. The result was irreconcilable. Due to the hard work and exceptional taste of its people, Malatya became a unique place of enjoyment and prosperity. This paradise was known for its delicious fruits, wheat, cigarettes, silk and hemp. An Armenian of Malatya was proud, temperate and rebellious, so Turks were somehow moderate towards them. Armenians, Turks, Kurds and Greeks lived in Malatya. Twenty thousand Armenians lived hereвЂќ. - Sedrak Shahen, a Western Armenian writer and publicist wrote in his book. There were three operating churches in Malatya. Educational system was quite developed, there were several schools. The вЂњEuphratesвЂќ College was very popular. There was almost no illiterate man in Malatya. Malatya had brilliant intellectuals, like honorable Giragos Khachatryan, writer Ruben Vorberyan etc. Many of them graduated from the вЂњEuphratesвЂќ College. 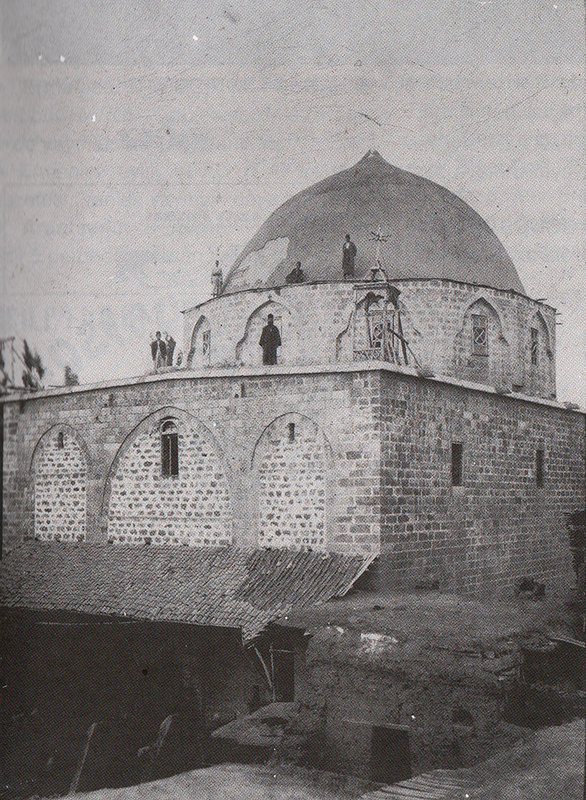 In 1895, during the Hammidian massacres, the first Hntschak group courageously fought against the Turks in a self-defense battle near the Mother Church of Malatya. During this eight-day battle, the Turks had 1200 victims and had to stop fighting. 500 Armenians were killed, but the people survived. My grandfather was also born and grew up in Malatya. Here is his story, told to me by my father Sargis. Manvel Tevekelyan was born in April 1906 (canвЂ™t remember the day), In Bubucklu Street, in Malatya, in a family considered to be prosperous for those times. Their dynasty lived in a large, two-story, blue stone house, with 24 people (the house still exists and now the Kurds are living there). The great-grandfather Sargis Tevekelyan (Manvel's father) was a quite wealthy and famous shirt maker, and he had his own shops in Malatya. Manvel's childhood was carefree. A conservative, united, family celebrated all national holidays with great joy. When the deportation began in Malatya, everything was intermingled, so that Manvel lost his relatives. With a great deal of difficulty, he succeeded in escaping. Teenage Manvel was found by a Turkish official, who brought him to his home and kept him in the basement for some time, because the Turks were being punished for hiding "giavur". Manvel was very well treated, fed and he got clothes there. One cold winter morning searches began. The Turkish official hid Manvel in the well, covering it with straw and clothing. They couldnвЂ™t find anything or anybody. Manvel, who had been in the well for twelve hours, was brought out almost half dead. The Turk succeeded in reviving the child's body by rubbing it with vodka. Then he personally handed him to an American orphanage. After a while the children of the American orphanage were taken to Syria and in 1922 - to the city of Alexandria, Egypt. There he found his sister Heghine, who was four years older than Manvel. After a long separation, the siblings promised not to leave each other. However, a very difficult period was still ahead of them. Years later an Armenian young man made a marriage proposal to Heghine, offering to leave for the USA. Heghine said she would only agree if they could take her little brother. The young man moved to the USA without Heghine. Later Heghine married Sedrak Mnghikyan. Thanks to their hard work, special for people of Malatya, the shirt-makers were able to improve their living conditions, were able to open some shops in Alexandria. They tried to find their relatives, but didnвЂ™t succeed. 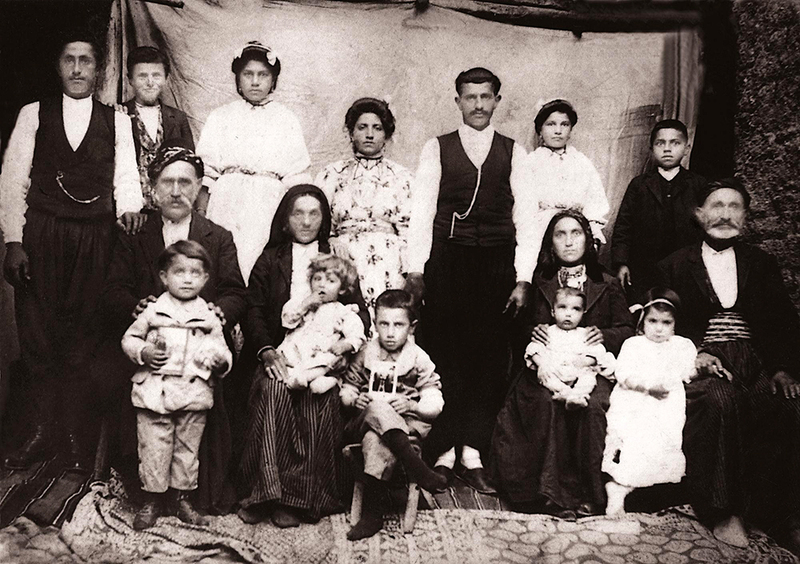 During the repatriation years, in 1947, they immigrated to their homeland - Armenia, and settled in Leninakan. Manvel married a repatriate Aghavni Semerjyan, who also had passed a very difficult road. Manvel called his son Sargis in honor of his father. My father Sargis told me, that for a long time his father couldnвЂ™t speak about the massacres, as the memories of sufferings and deprivations were too fresh. He had talked about it twice. They continued to look for their loved ones. His statement, published in 1960, in the вЂњHayreniki dzajnвЂќ [Voice of Homeland] newspaper, was decisive. Manvel gave information about him and his sister. After a while the uncle's sons Hakob and Haykaz Tevekelyans responded. They live in Boston, USA. The correspondence between relatives started. 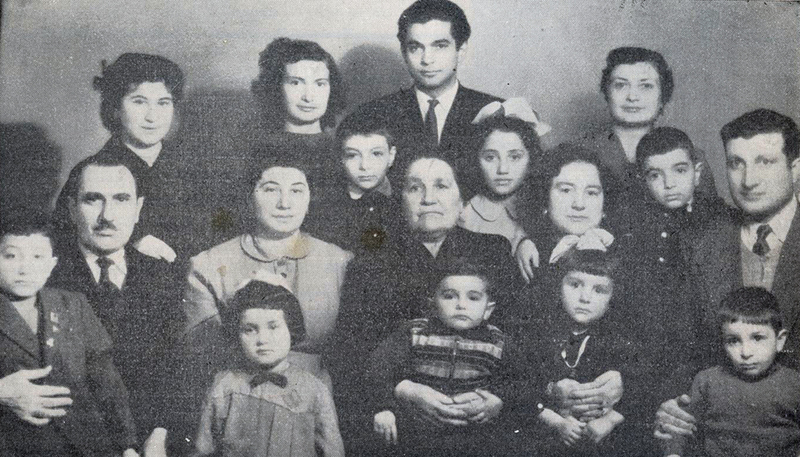 In 1962, Haykaz came to the homeland to meet his relatives. Manvel passed away on February 10, 1986 in Leninakan. Four children, Manvel, Heghine and their cousins Hakob and Haykaz, were left from the big family. They all married, and got many children, keeping the memory of the once glorious dynasty in their hearts. The Tevekelyans, both in Armenia and in the United States, have made a great contribution to the politics and business, as well as the Armenian Genocide recognition. You can also watch a video about the Tevekelyans on Public Television.